Jess Reiser and her business partners don&apos;t waste time: Within six months of arriving in Asheville, they created a brewery, Burial Beer. "It still feels surreal sometimes when I walk around our place and see people drinking our beer," she says. They had left Seattle and its strong craft beer market for a town with a friendlier feel. "We wanted to be part of a place that has a true community, where people get excited about what other people are doing," she explains. With so many Asheville breweries nearby (34 in all including Burial! ), Jess discovered a supportive network within her industry. She says that camaraderie is what distinguishes Asheville from larger cities where breweries feel less personal. 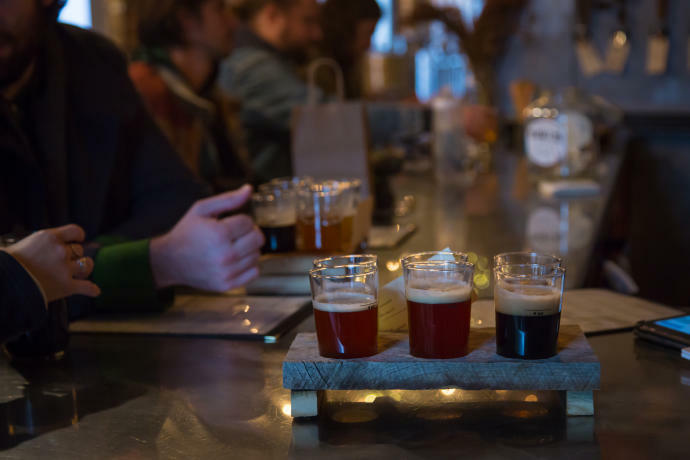 "The drive behind why people make beer here is so genuine it shows not just in the product but in the beer drinker&apos;s experience while they&apos;re in Asheville," she says. "People here are really committed to the city. You don&apos;t even have to be a beer drinker to enjoy that. Visitors leave with a rich experience, and the people you meet here make that." 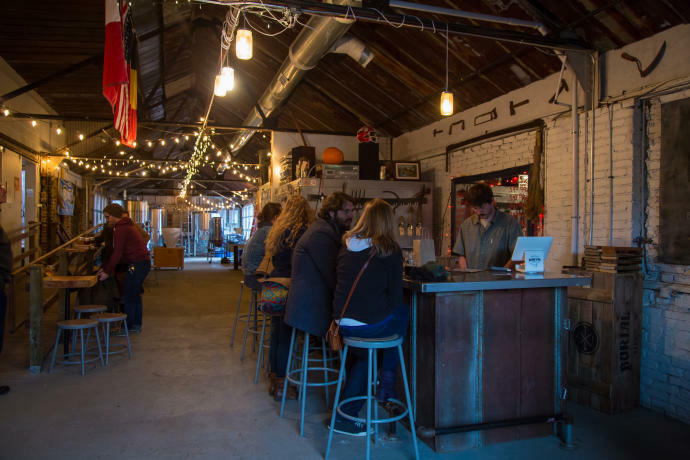 A visit to the Burial Beer tap room, located near several other breweries in the up-and-coming South Slope neighborhood, offers a sense of discovery with its small-batch beers and "secret hideaway" setting. 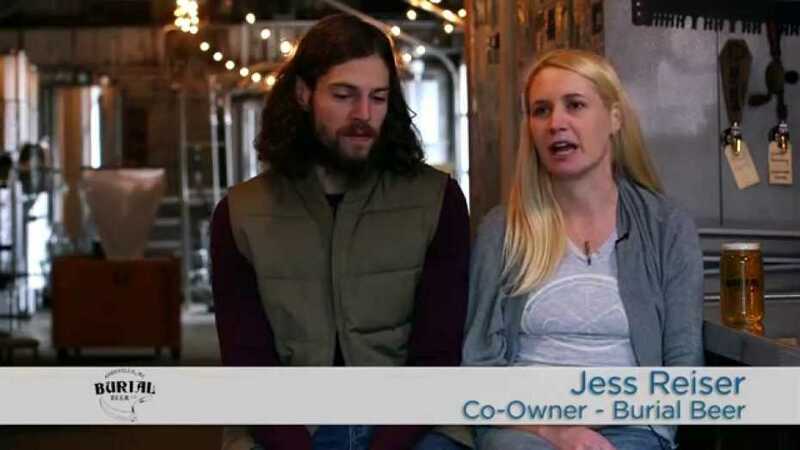 "We like to take traditional beers and put a modern twist on them," Jess explains. 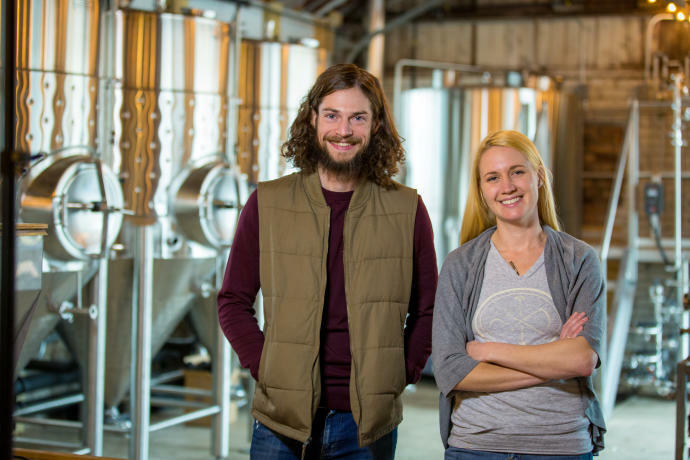 Jess Reiser & Tim Gormley | Burial Beer Co.